After heated negotiations, Russia has vetoed a draft resolution in the Security Council that labels the Srebrenica massacre a “genocide”. This follows a request from Serbia to stop the draft. The draft resolution, presented by the UK and US, would commemorate the 20th anniversary of the massacre. It calls for better genocide prevention as well as condemning the massacre as well as calling it “a crime of genocide”. The vote had already been pushed forward to allow for further negotiations. The veto follows a reported request from Serbia, with whom Russia has close cultural ties, to use its veto power. Russian and Serbian officials have been criticizing the Anglo-American draft for being unbalanced and risk increasing ethnic divisions in Bosnia. A rival draft has been presented by Russia, although no vote has been scheduled. Russia’s UN Ambassador Vitaly Churkin said after the vote that adopting the resolution “would be counter-productive, would lead to greater tension in the region”. British UN Ambassador Matthew Rycroft has said that the draft is was not “anti-Serbian” and that the genocide status is “political fact”. The Srebrenica massacre took place on July 11th 1995 in the midst of the Bosnian War. 8,000 Muslims were executed by Serbian soldiers, under the command of General Ratko Mladic. The events were the subject of an investigation by the Tribunal for the Former Yugoslavia where the tribunal ruled that they did constitute genocide. 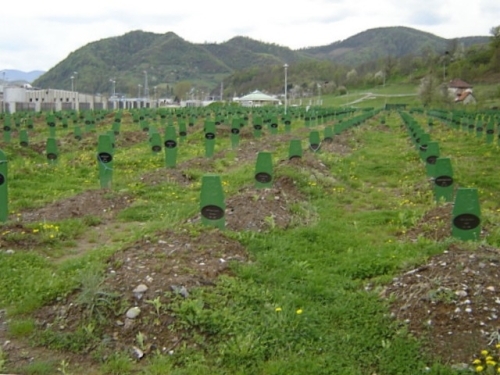 Numerous people have already been convicted of genocide for involvement in the Srebrenica massacre by the UN Tribunal at The Hague, but formal recognition by the UN could compel individual states to pursue prosecutions. “Vote on Srebrenica resolution delayed by Russian veto threat”, AP News. “Russia threatens veto on UN vote calling Srebrenica “a crime of genocide””, The Guardian. “Serbs Ask Russia to Veto UN Resolution on Srebrenica”, ABC News. “Russia vetoes UN move to call Srebrenica “genocide””, BBC News.